Crystal Sign & Print in Billericay, Essex are one of the longest standing digital printers and litho printers throughout the entire county. Having been in the industry for so many years they have built a fantastic reputation for general printing such as flyers and posters right through to the very specialist printing of corporate workwear and comedy t-shirts such as stag tshirts or hen tshirts. Finding a company who not only offer affordable printed tshirts in Essex but can actually get the design just right is a tall order but not when you choose Crystal Sign & Print in Billericay. Over the years they have built a fantastic reputation in delivering not only the highest quality tshirts but corporate workwear, hi vis jackets and hi vis vests. Getting your company branding put onto any form of workwear is key to successful marketing of your brand however choosing the wrong company could leave an unprofessional finish on your lifelong branding. We’re blessed with a truly fantastic team of litho printers and digital printers here at Crystal Sign and Print, all of whom strive to achieve perfection with every single one of the services that we offer. This is one of the main reasons why we firmly believe that we should be your first and only port of call for corporate workwear, stag tshirts, hen tshirts, tshirt printers, printed tshirts, poster printers, corporate gifts, hi vis jackets, leaflet printers, embroidery and signage, anywhere in the Billericay area of Essex. We have a real passion for what we do, and we feel that this shows in every single one of the services that we offer. We also pride ourselves on the high level of service that we provide alongside all of the services that we offer, and on the fact that we constantly go the extra mile for our valued Billericay-based customers, time and time again. 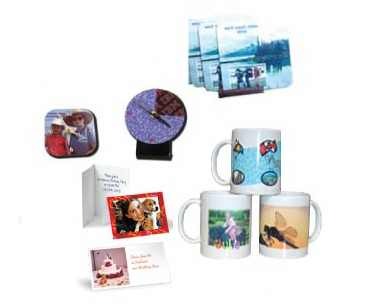 - Professional Team: We have a really professional team of experts here at Crystal Sign and Print, all of whom strive to achieve perfection with every single one of the printing services that we offer. - Highly Experienced: We’ve been operating as litho printers and digital printers in Billericay for many years now, meaning you can rest easy with the knowledge that you’re in good hands with our experienced team. - Passionate: As we’ve mentioned above, we’re very passionate about what we do and the printing services that we offer throughout Billericay and the surrounding areas. - Competitive Prices: We are proud to say that we offer competitive prices on all of the services that we offer throughout Billericay and Essex, such as corporate workwear, stag tshirts, hen tshirts, printed tshirts, corporate gifts, hi vis jackets, embroidery and signage. If you’d like to find out more reasons to choose us for corporate workwear, stag tshirts, hen tshirts, tshirt printers, printed tshirts, poster printers, corporate gifts, hi vis jackets, leaflet printers, embroidery and signage in Billericay, feel free to get in touch with our team. We’d love to help you! Crystal sign & print are not only experts in the print field, they also have the newest machinery for high quality digitised embroidery ensuring their clients of a tight, crisp and highly professional finish every time. Speak to the team at Crystal sign & print about their success on existing embroidery clients as they never fail to deliver the best finish a client will require. Another key service provided by the team over at Crystal Sign & Print is in their banner printing and design. Having invested heavily in wide format printing machinery this has opened the doors to make them leaders in banner printing throughout not only Billericay but also Essex. Falling hand in hand with wide format printing is the creation of signage for businesses of all sizes. As professional sign writers the team at Crystal can design and create stunning branded signs for your company. Crystal sign & print can help with almost anything print related, whether it is a corporate gift, business cards, leaflet printers, flyer printers or printed tshirts then look no further. The team as Crystal sign & print in Billericay, Essex have the knowledge and experience to be able to help you. To find out more about this highly experienced print and design team in Billericay, Essex visit their website or give them a call to discuss any of your print, signage or design needs. For fantastic printing in Billericay then you can’t do much better than Crystal Sign And Print. So happy with the service. I was let down last minute by Hussey and Knights in Shenfield and needed a booklet printed for a university deadline. Nick was so helpful when I explained my situation and they printed it for me for the following day. Would definitely recommend and won’t be going anywhere else! Our mum has sadly recently passed away and nick at crystal print was extremely compassionate to that fact. He printed up a truly beautiful funeral invitation using his own creative flair and in an extremely timely manner. This company is excellent. Excellent service and the price very good too. I would recommend them in a heartbeat. As we all know, the two most stressful times you will experience in your lifetime are moving house, and your wedding day. Alongside other big events and occasions, these two are voted the two most stressful. Why? Because there’s so much to do and remember! But how does everybody else do it? 9 times out of 10, it’s down to a checklist. To assist you with the planning of your special day, we have created a wedding printing checklist with the aim that this helps everything to run smoothly. 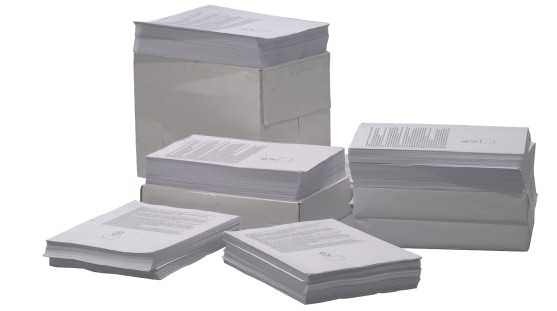 At Crystal Print, we offer a wide range of printed wedding stationery to all of our customers who are getting married. 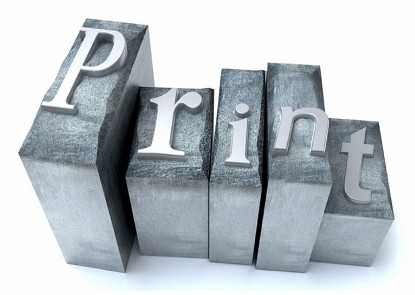 As printers in Essex, we pride ourselves on the quality of our wedding prints, and we believe that we should be your only port of call for wedding prints in Billericay and the surrounding areas of Essex. We offer a wide range of printed wedding accessories, so be sure to click here to see a full overview of our printing services. We’re sure you’ll love what you find. If you’re looking for quality wedding prints for your special day, Crystal Print have got you covered. We’re always here to take your call, deal with any enquiries, and answer any questions that you may have regarding the wedding prints that we offer to all brides and grooms throughout Essex. Call us today if you require additional information.